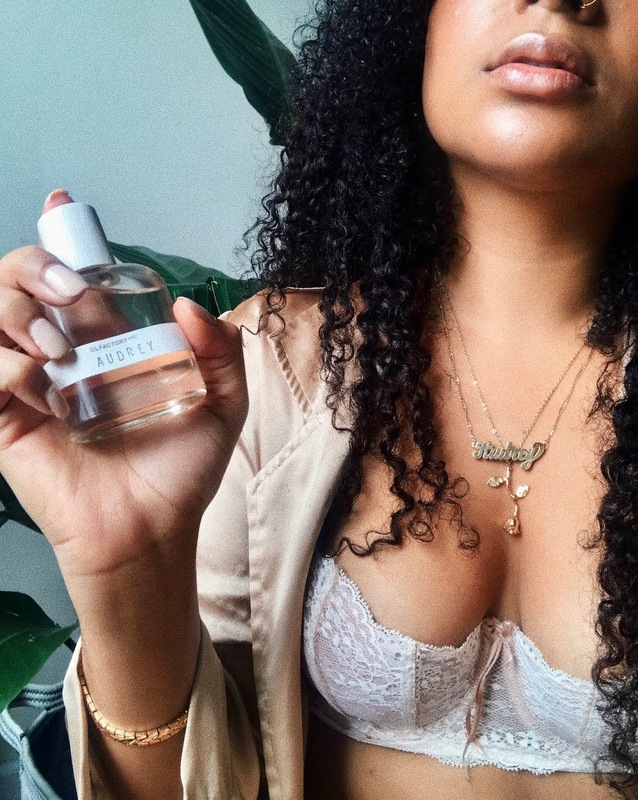 I began to see each new scent I created as way to connect rather than to announce, and I found that’s the difference between a good fragrance and any other one. Some yell at you, overstating who they are. Others invite you in and let you figure it out for yourself. I thought about my favorite people, and my favorite feelings and how I could create a scent that would embody what I loved about both. After about 15 mixes I landed on this: a Riley base with accords of Madagascar Vanilla and Sandalwood. According the the site, the Riley base it this: Warm And Cozy, Yet Provocative. Hazelnut Is A Surprising Addition To The Skin-Like Smoothness Of Sandalwood, Musk And Vanilla. And while I don’t know the sensory science behind why all those scents work together to create the feeling I wanted, I do know that they do. It feels like a hug you hoped would never end. There’s a special cocktail of Palmer’s cocoa butter and Jean Nate body splash that is distinctly my mother’s. It starts off rich and warm, turning into a bright burst of a scent that I can only describe as rubbing alcohol and citrus (but in the best way). I doubt I will ever smell this anywhere else but on her, but if I did, I know that memories of watching her get ready before work or church would come rushing to me. I would remember how sitting on the corner of the bed, I watched her turn into someone other than just my mom. How it felt to hug, kiss, and hug her one more time before she left to wherever it was she had spent the time getting prepared for. Love would come rushing back to me — all because of cocoa butter and Jean Nate body splash.